TRAVEL COLUMBIA RIVER GORGE: It's Concert Season at Edgefield in Troutdale, OR! 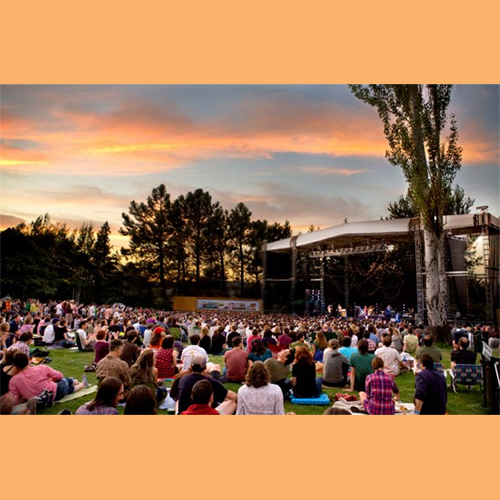 It's Concert Season at Edgefield in Troutdale, OR! 1. What kind of chairs and blankets are allowed inside the venue? Single size, low-level beach/lawn chairs (not exceeding 8 inches from the ground to the bottom of the seat and no higher than 32 inches total from the ground to the top of the chair) are OK, as are blankets and beach towels no larger than 4’x6′. We also have a limited number of low-level chairs available for rent inside the venue ($5 per chair for the show with a $20 deposit). 2. Can I bring an umbrella? Small, personal-sized umbrellas are allowed in the venue, but can not be used in the reserved and general admission areas once the concert has begun. 3. Can I buy tickets on the same day as the show and have them saved for me at will call? Yes! As long as you’re buying before show time on the day of the event, you can purchase tickets online or through charge-by-phone and your tickets will be ready for you when you arrive at Edgefield. After that, any remaining tickets may only be purchased at the amphitheater box office located onsite. 4. The show I want tickets to is sold out! Should I buy tickets on Craigslist? Recently we’ve been advised of people doctoring print-at-home tickets and selling these on Craigslist for big profits. The buyers of these ticket are not admitted to the show, since the barcodes are fake. Due to these scams, we strongly advise you not to buy tickets to our shows through Craiglist or similar websites. 5. Can I bring in bottled water? Yes, as long as it is in sealed plastic bottles. However, we encourage all guests to bring along empty reusable containers; free water stations are located within the venue. 6. Can I bring in a picnic? No outside food and beverages (with the exception of sealed bottled water) may be brought into the venue. Food and beverages are available for purchase, along with soda, bottled water, McMenamins handcrafted ales, wines and spirits and more. See the food & drink menu for more details. Unfortunately, pets are not allowed on the property or in the concert venue, except for service animals. 8. Can I leave the concert area after I’ve saved my spot? No. Re-entry is not allowed. 9. Am I allowed to bring fireworks? 10. What is reserved seating? For some concerts, there is a reserved seating area directly in front of the stage. These ticket holders are assigned their own seats so they do not have to stake out a spot on the lawn. See specific concert ticketing pages to determine if reserve seats are available. Otherwise, the show is general admission. 11. Can I bring my kids? Do kids get in free? Guests of all ages are welcome to attend these shows. Concert-goers 3 years and older require a ticket. 12. Do you take credit or debit cards inside the venue? No; however there are ATMs available both inside the Edgefield hotel and within the concert venue itself. 13. Where do I park? Is there a fee? Parking is included in your ticket service fee. Concert-goers can park in the East and West field lots located next to McMenamins Edgefield. There is staff posted at the entries and within the lots to assist you. Please note that the lots are uneven and may be difficult for those who are physically challenged. Guests are welcome to use the hotel turn-around to drop off those who are unable to walk from the parking area to the venue. 14. What does the ticket fee cover? McMenamins works with locally operated CascadeTickets.com (which uses the operating system of Etix.com) – your ticket service fee includes parking at the Edgefield site, local law enforcement assistance with parking and traffic flow, as well as added security at the venue. Please note: For Edgefield Concert on the Lawn shows, the service fees apply whether you purchase your tickets online or in person at one of our box office. Therefore, save yourself the time and effort by purchasing tickets online! 15. What if it rains? Thank you for sharing the article! This is what I want to find.